Find all the equipment you're looking for at K.L. Welch & Sons. When you visit our showroom, we do more than just point you toward the mowers and equipment-we talk machinery with you. 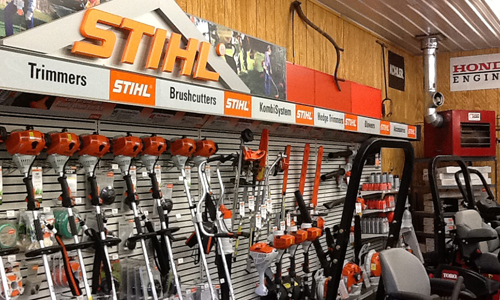 We know these heavy-duty mowers inside and out and only stock the best of the best. When you're working within a budget, you want to ensure the equipment you purchase is still of the highest quality and durability. We offer the highest standard in used equipment that affords you a discount without compromising the integrity of the product. Founded in 1957 by Kenny and Martha Welch, K.L. 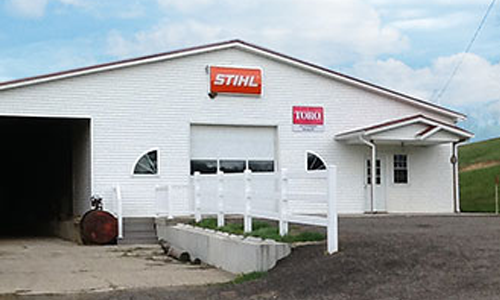 Welch & Sons has been serving Newcomers, Ohio, and Tuscarawas County with dedicated sales and service of high-quality lawn mowers and outdoor power equipment. The tradition was carried on with sons Jim and Danny, who continue their parents' legacy of great customer service. In 2013, Danny and Angie to full ownership, and moved to dealership to it's present location. We do more than just sell great mowers! In fact, we fix and maintain everything we sell, keeping detailed parts and labor records. You'll know your mower's history and how to keep it running properly for years to come. In order to set you up with the best mower, we'll ask questions like: What kind of grass do you mow? How many acres? Any hills or inclines? What kind of a seat do you want for your back? Visit us today for complete experience. Don't be fooled when you first arrive-not only do we sell outdoor power equipment, but we are also a working farm! Just look for the white bar with our dealer signs. And if the showroom looks quiet when you pull up, follow the directions on the door and someone will be right out to help you. Give us a call for more information. Head West on US 36 for 2 miles, then take the exit towards County Road 21/Stone Creek Rd. At the bottom of the ramp, make a right onto County Road 21/Stone Creek Rd. In 3 miles, turn left onto Williams Rd. Take exit 73 for OH-751 and turn right towards County Road 21/Stone Creek Rd. In 0.1 miles, make a left onto County Road 21/Stone Creek Rd.